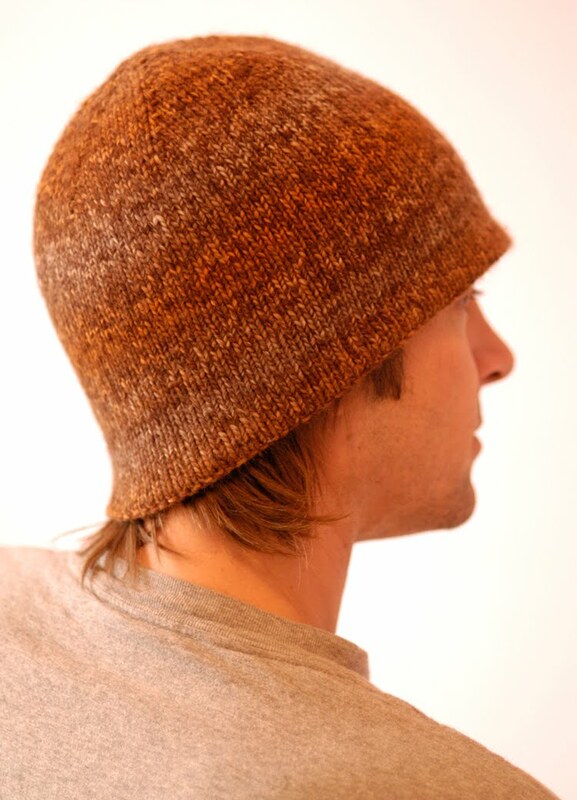 the Knit 1 Lid is a hat within a hat, reversible made in one piece with very little finishing. This is probably the toastiest hat I've ever worn because of the double thickness. For the hat pictured here I used Di.Ve Autunno. It's a gorgeous (striping) heathered, worsted merino. 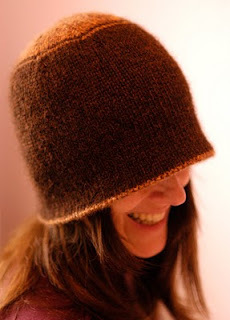 And the solid brown is Misti Alpaca Chunky (as you can see 1 ball of Misti wasn't enough to complete one of the hats! Oops!). The loftiness of the Misti compressed nicely into a worsted but don't use a chunky weight yarn unless you can get gauge. Speaking of gauge a #8 16" circular was used to get 5sts & 7 rows = 1" in Stockinette Stitch. Normally I like to use 2 circulars instead of DPN's but because you're starting at the top I would use DPN's again #8. Size shown is a large. On the husband it fits fine, but as you can see on me it's more of a bucket hat.